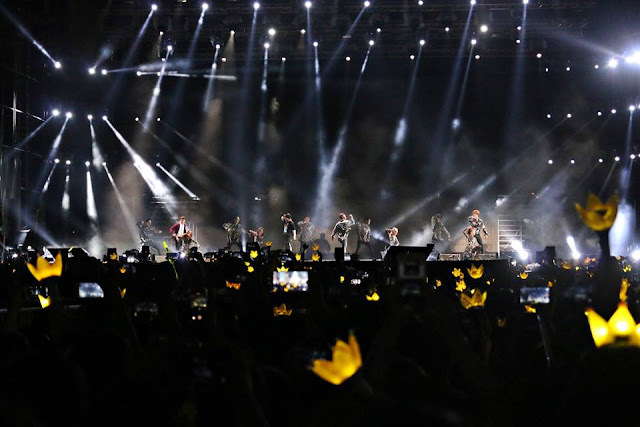 October is no doubt a delightful month for Malaysian V.I.Ps as BIGBANG kept their promise and returned to Malaysia for 2016 BIGBANG MADE [V.I.P] Tour in KL. 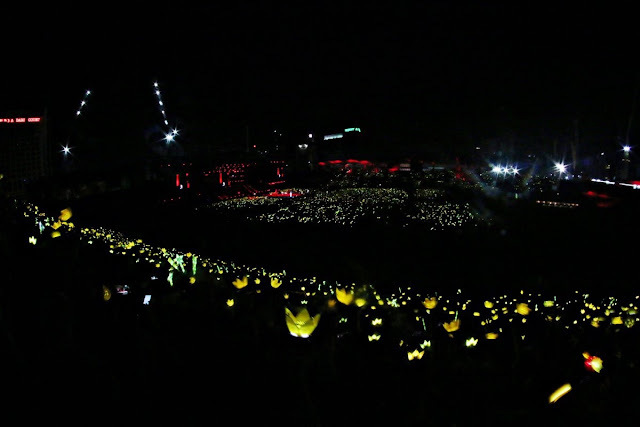 In celebration of BIGBANG 10th Anniversary, the tour was comprised of a mini-concert and fan meet where the members played various stage games to entertain the crowd. Unlike other tours where fans were invited on stage to interact with the members, however, Malaysia stage game was slightly different as only the members were onstage to compete which each other. BUT the members have prepared the heartwarming gifts for the lucky fans as compensation. Not to mention, the special guest, TOP standee which brought a little excitement to the audiences. The concert started with members self-introduction followed by the game session. The games session caused great laughter as the cheerleaders, Daesung and Seungri non-stop cheering and hooting for their partners. 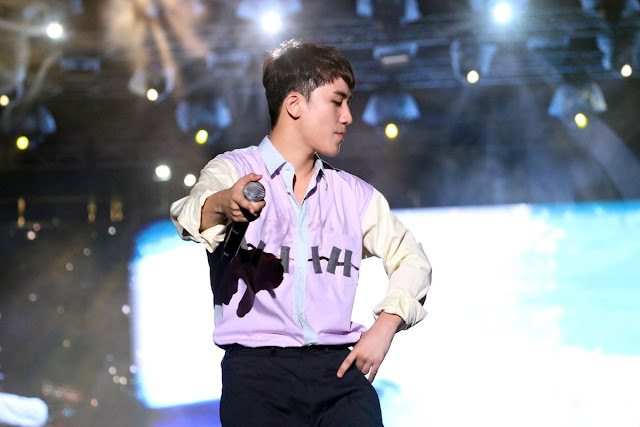 Also, Daesung and Seungri tried their best to speak in English and entertained the crowd with their infectious humour. Before the 2nd game started, Seungri claimed loudly ‘This game is easy!’, but he lost the game to Daesung and Taeyang playfully replied, ‘Seungri, you said it’s easy?”. Seungri then unwillingly replied, ‘Life is not that easy’. The little interaction between the members definitely lightens your day. The laughter-filled game session ended and PART 2 started with their hit songs ‘Loser’, ‘BANG BANG BANG’, ‘If You’ and ‘Bad Boy’. They emerged onstage individually for their solo performances. A must mention is Daesung’s trot stage, which brought us a refreshing impact as we barely see trot performance in Malaysia. Many fans like me probably think he would perform ‘Wings’ right? 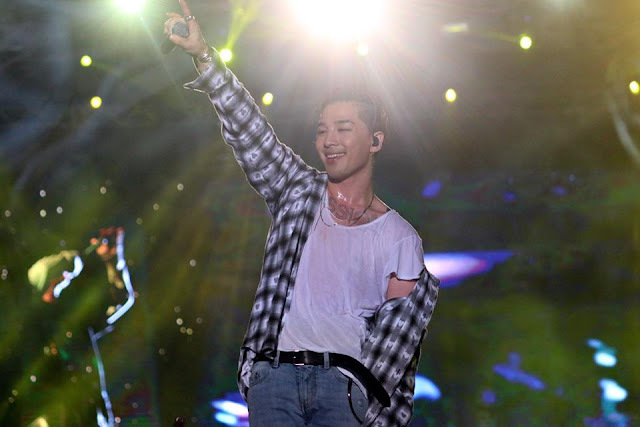 After their solo stages, 4 of them back on stage and performed Sober. G-Dragon and Taeyang revealed that BIGBANG new album is almost done and will be releasing soon. They also promised to return to Malaysia for their next concert. Before saying goodbye to the audiences, the boys performed ‘Bae Bae’, ‘We Like 2 Party’ and wrapped up with ‘Fantastic Baby’. 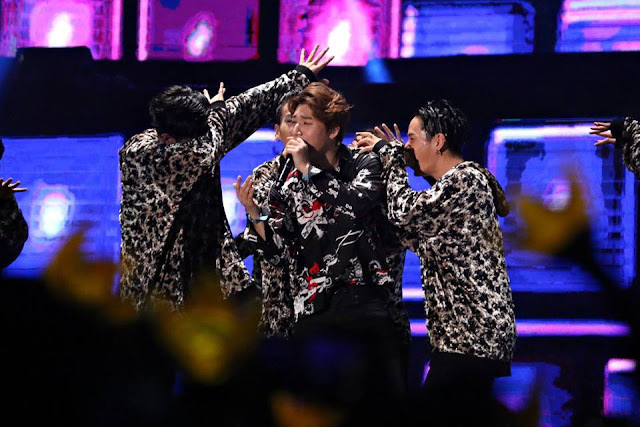 Although TOP was not present, but the remaining members, G-Dragon, Taeyang, Daesung and Seungri filled the venue with their jolly interaction and powerful performances. The concert has surrounded by an aura of happiness and excitement. We hope they keep their promise and not too soon in entering the military but soon in releasing their new album as V.I.Ps have waited like centuries. 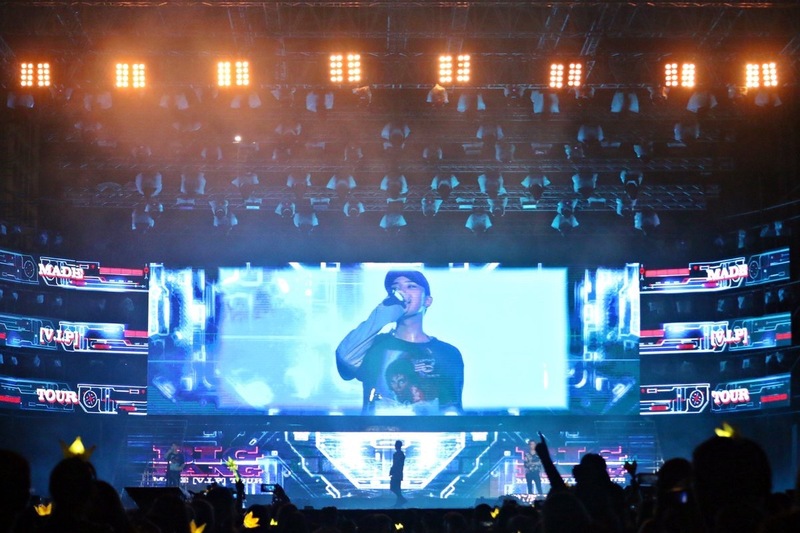 A big thank you to IME Productions for bringing BIGBANG to Malaysia.